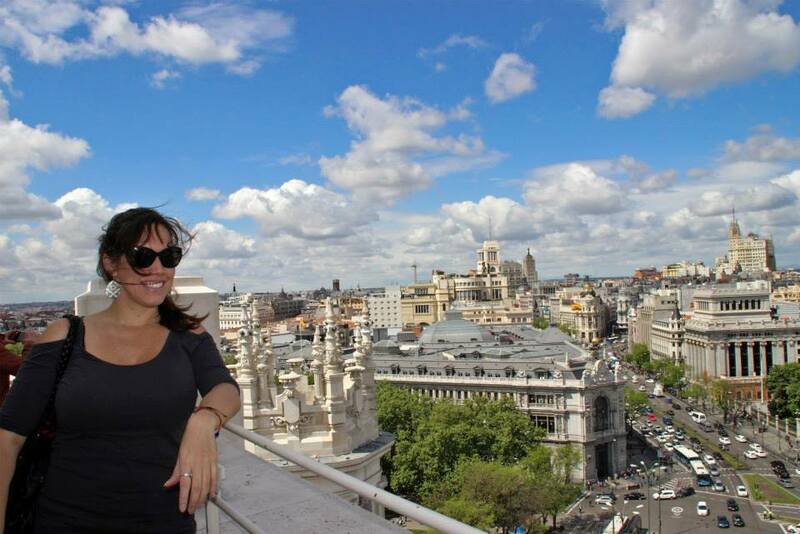 It was my 2nd time in this amazing and always fun city from the Iberian Peninsula, but the first Christmas and New Year’s Eve in Madrid. My first visit, it was during summer. 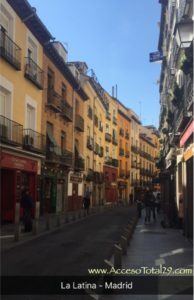 Both times, I had a very great moment strolling by its streets, trying every typical dish I could and having fun with friends. In 2 days you can do a lot. The first time, I went for 1 week, the 2nd time for a month. One day, you can take it for museums and art. From the Atocha station you can walk to Reina Sofia museum (which it’s my favorite) and then stroll by Paseo del Prado and you’ll pass by the Botanical Garden. El Prado museum (it’s free on Sunday and I believe after 6pm any other day) is a museum you cannot miss to visit! Then you’ll see the Neptune fountain in front of the Ritz. 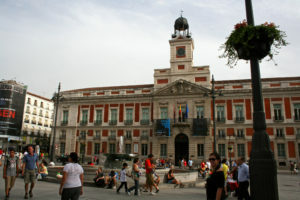 Close by, you’ll findthe Thyssen-Bornemisza Museum and CaixaForum Madrid. 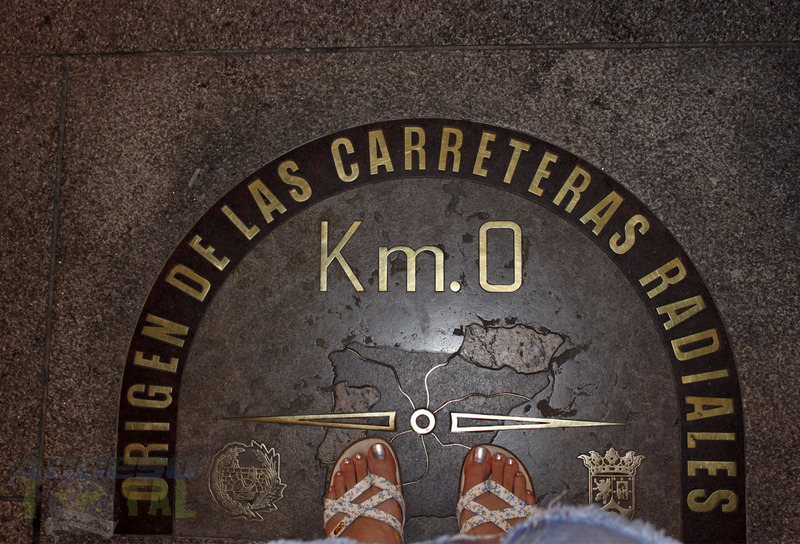 If you keep walking by Paseo del Prado you’ll get to Cibeles square. 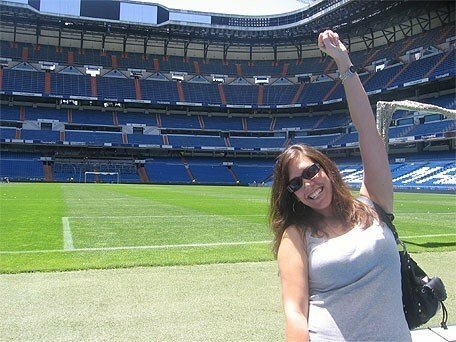 This place is known by being the main spot for Real Madrid fans when the team wins. Beautiful spot for pictures. 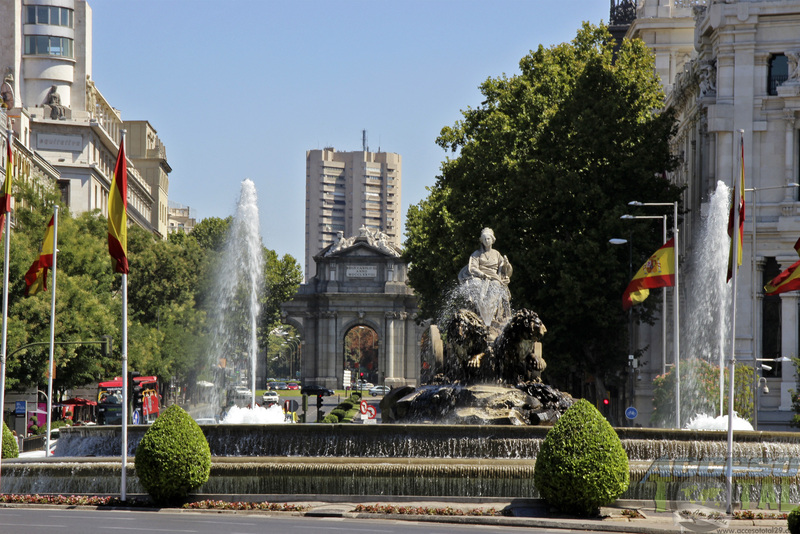 From there, to the right you’ll get to El Retiro park passing by Puerta de Alcala first. 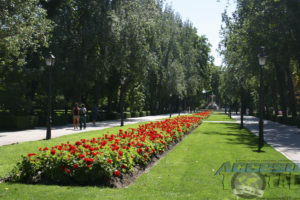 Parque del Bueno Retiro is the largest park in the city. Here you can enjoy the view of statues, gorgeous gardens, a lake that you might want to rent a boat during summer, a palace made by crystals, relax by the lake or any fountain around the park. 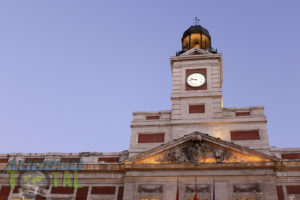 Right there, at the Puerta del Sol, is where you can have fun among other tourists and locals, eating 12 grapes and having some drinks on New Year’s Eve. We were there and it was as crazy as awesome! So much fun to receive 2009 with friends in this amazing city. 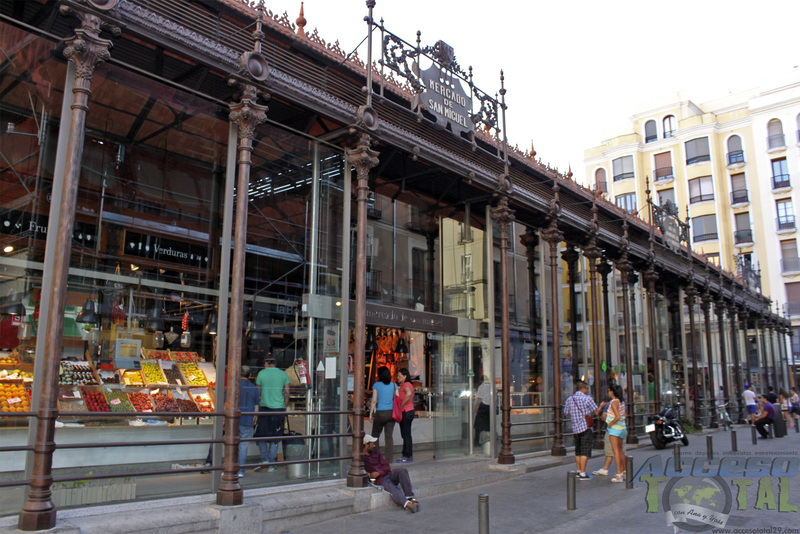 From there, you can visit El Callao and La Gran Via where a lot of stores, hotels, restaurants and bars are located. Naturally, my favorite area to be around after my 2nd visit. Shop shop shop! 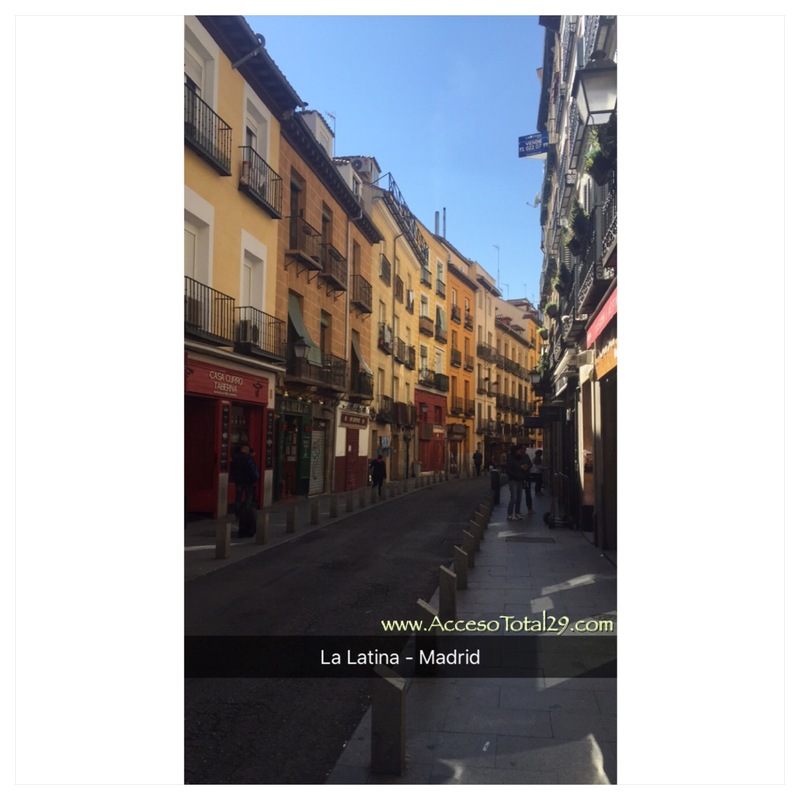 With some local friends, we visited La Latina, went tapas hopping plus cañas (beer) and meeting new people. This is another good option to do at any time of the year. I love it. So many places to choose from. Some friends from Madrid told me that I can recognize a good bar by looking at its floor, more napkins on the floor means the best bar. Weird, but somehow makes sense. The nightlife in Madrid is amazing! 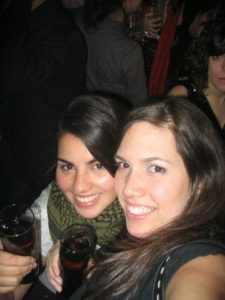 Okay, part of this post I’ve been writing about drinks, and I haven’t say much about nightlife. There are hundreds of bars and clubs around the city. I think we saw at least one at every block. 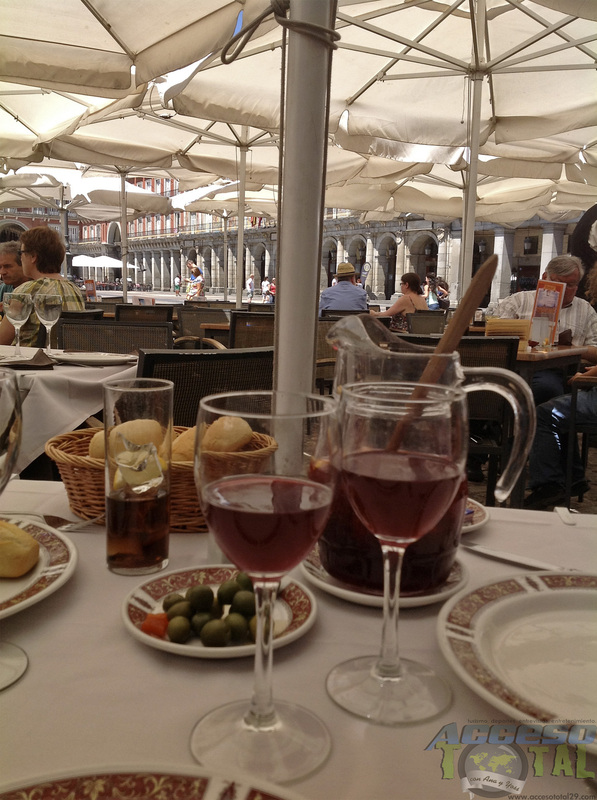 During summer, Plaza Mayor is a great place to hang out, have a sangria jar and a tapa while relaxing at the end of the afternoon. On winter, you can find many vendors with handcrafts and costumes specially for the New Year’s Eve by Puerta del Sol. Close to the Plaza Mayor, you can find a Belgium bar where you can get all types of beers (I had a 12degrees beer) or our favorite: Irish Pubs. By the end of the month (in December), they actually knew us very well at one of the Irish pubs: O’Connell, S.T. (I guess we hung up a lot at that one). 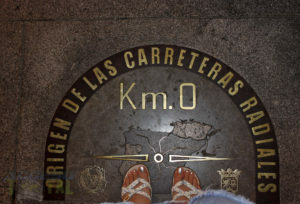 – in 2014, I started visiting more often one pub located by Calle Alcalá, between Plaza de Cibeles and Puerta de Alcalá: James Joyce, loved it – And visit the typical Spanish bars where you can find, at some of them, a special treat such as 1 tapa + 1 caña = €1. 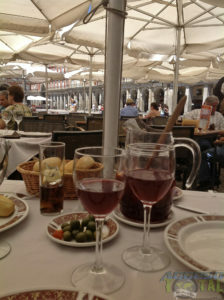 You will have fun at night, always, all the spanish people LOVE having fun and they all will treat you GREAT! Can’t wait to go back again! Another nice square to visit for drinks and nightclubs, Santa Ana. Around that area you’ll find all kind of bars, clubs and you can even hang out at the square by the theater. If have time and like football/soccer, don’t forget to visit the Bernabeu Stadium (Hala Madrid!!). Take a tour inside the stadium, see photos, videos, take pictures of the home of one of the best soccer clubs in the world. More places to see? 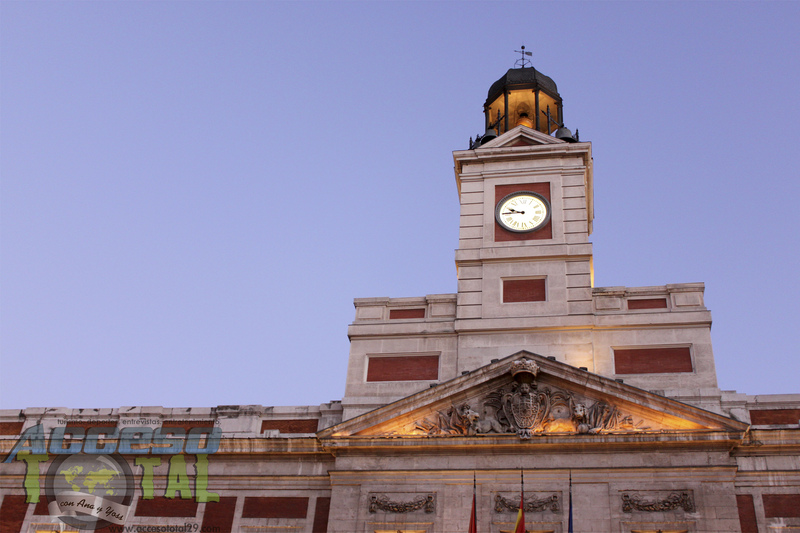 Visit Plaza de Oriente, the square by the Royal Palace which you can see it by yourself or take a tour inside this gorgeous palace. Don’t forget to take a look at the National Library which is a beautiful building, very interesting and has a museum (free to enter!) This one, is located by Colon Square. Nearby, you’ll find a wax museum and the Hard Rock Cafe.